Considering a change of scenery? Moving to Georgia may be the solution in your quest to find the perfect place to settle down. It is located in the Southeastern area of the United States. The state was initially settled in 1733 as a British colony, which is why it was named in honor of King George II of Great Britain. However, the territory would later become the final addition to the original Thirteen Colonies. By land size it is ranked as the 24th largest state, but it is the eighth most populous. As of 2017, it had a population of over 10 million and continues to experience rapid growth. There are several prominent industries in Georgia, so there is an array of employment opportunities. It was ranked as the number two for global access and infrastructure. There are four ports owned and operated by the Georgia Ports Authority, with the Port of Savannah functioning as the fourth largest seaport in the nation. 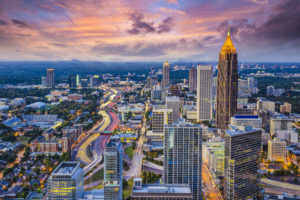 For the last five years, Georgia has been rated as the top state for business and labor climate, as well as number one for workforce training. There are seventeen Fortune 500 and 26 Fortune 1000 companies headquartered in the state. Agriculture, mining, and industrial are all large influences on Georgia’s economy. If the state were an individual republic, it would be the 28th biggest economy in the world. The three biggest cities in the state are Atlanta, Savannah and Augusta. They are all great candidates for your new home when moving to Georgia. 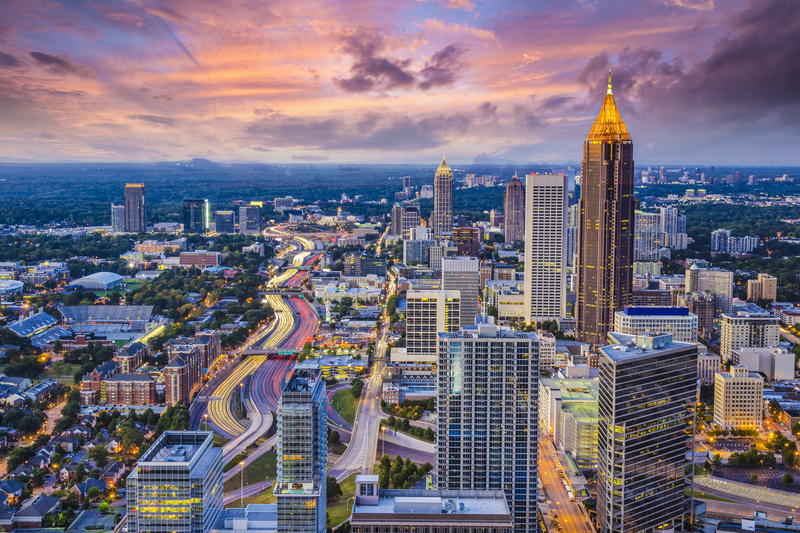 Atlanta is a cosmopolitan city, as it plays a vital role in the global economy. It is the largest metropolitan area for the state. Atlanta has a dynamic offering of entertainment opportunities. The city has the sophistication of a big city coupled with sincere Southern hospitality to make anyone feel welcomed. There are world-class museums and an array of local art galleries. There are also plenty of outdoor activities, as well as amusement parks to enjoy. Savannah is the oldest city in Georgia, and as so it has a historic charm. There is beautiful architecture sprinkled around the city, fabulous food offerings, and exciting nightlife. While the city is fueled by the past, it may just be the perfect place for you to make some new memories. Another popular city in the state is Augusta, which is home to the Master’s Golf Tournament. The city is bustling with music, art, exquisite culinary options, shops, and a breathtaking Riverwalk. There are also events throughout the year and countless outdoor recreational opportunities, so there is no chance for boredom. If you are moving to Georgia, you can count on the professionals at Vincent Fister Moving & Storage for assistance. We offer professional movers, full service packers, and relocations services at a cost effective price. We do not charge by the hour to pack your items, you only have to pay for the boxes we do pack. This pricing model allows us to take the deserved amount of time to pack your belongings safely and securely. With over six decades worth of experience, you can entrust that your possessions are in the most capable hands. We are located in Lexington, KY to provide service to the surrounding area. Call us today to request a quote.